This is SIties. She is in the video on the right. CBC and the Nature of Things did a documentary on her called 'For the Love of Elephants'. While we were in Nairobi we visited the Daphne Sheldrick Elephant Sanctuary. While there we adopted baby Sities. Sities wandered on to a farm in 2010. The farmers were afraid to go near her in case an angry, protective mother showed up. Unfortunately, Sities was an orphan. Her mother was likely poached. Sities was dehydrated and lonely. See the rest of her story, updates on how she is now and an adoption form (if you are interested in helping her or others like her). 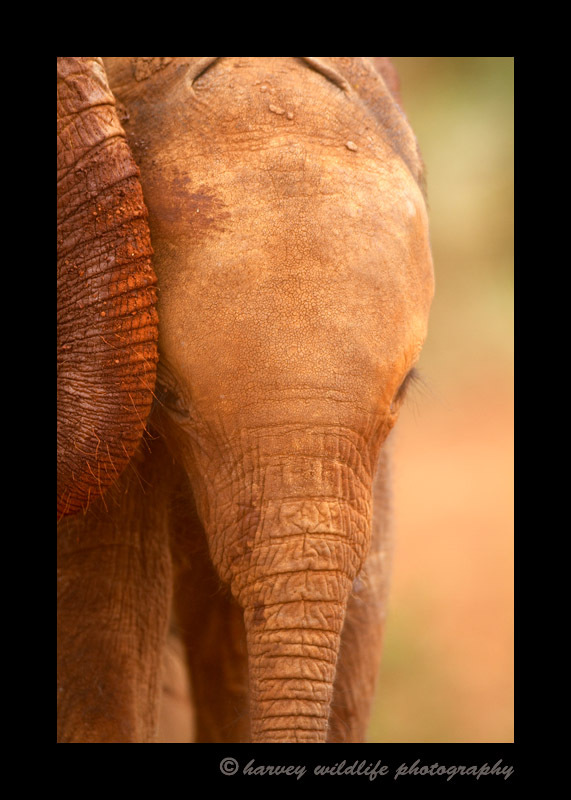 The Daphne Sheldrick Sanctuary has been involved in many BBC videos and documentaries that can be seen here. Check out our Elephant Sanctuary Blog. As part of our adoption we were allowed to watch Sities' keeper put her to bed. It was so cute we had to video and blog about it.